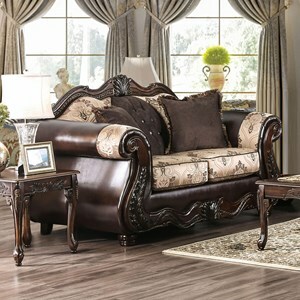 Beauty and strength in one, this collection offers a gorgeous seating choice for any parlor. 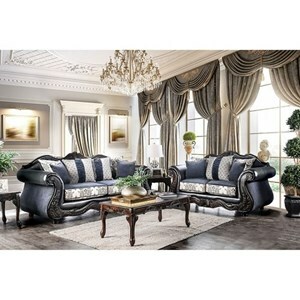 The upholstery comes accented with beige coloring to place emphasis on the rich tones. Solid wood framework ensures stability and durability while high density foam cushions provide comfortable padding. 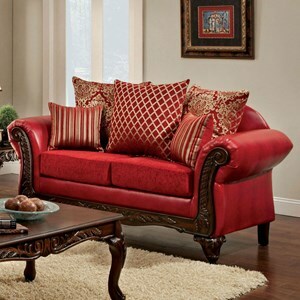 Loose back pillows featuring fringe trim and mesmerizing patterns add that extra bit of detail to raise this loveseat to the next level. 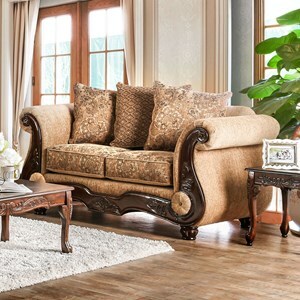 The Amadeo Traditional Love Seat with Ornate Wood Trim by Furniture of America at Nassau Furniture and Mattress in the Long Island, Hempstead, Queens, Brooklyn, Bronx, Manhattan NY area. Product availability may vary. Contact us for the most current availability on this product. 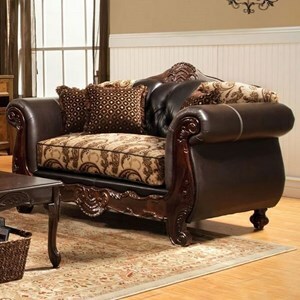 Browse other items in the Amadeo collection from Nassau Furniture and Mattress in the Long Island, Hempstead, Queens, Brooklyn, Bronx, Manhattan NY area.